Wash and cut the strawberries in half and place in a bowl. 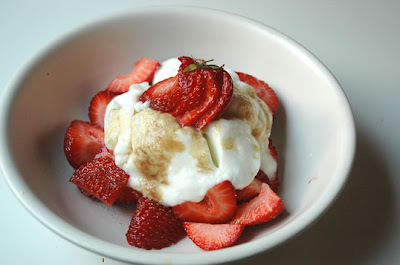 Scoop yogurt on top of strawberries. Sprinkle sugar over yogurt and drizzle vanilla over entire bowl. Enjoy!